Along with High Moon, Vicarious might be helping to port Destiny 2 to other platforms, such as PC. Vicarious Visions announced a partnership with Bungie and Activision to help continue fleshing out the Halo creator's Destiny franchise. Best known for Guitar Hero, Skylanders, and Game Boy Advance editions of entries in the Tony Hawk's Pro Skater series, Vicarious Visions is currently working on Crash Bandicoot N. Sane Trilogy, a remake of the Crash games on PSX due to release on PS4 sometime next year. 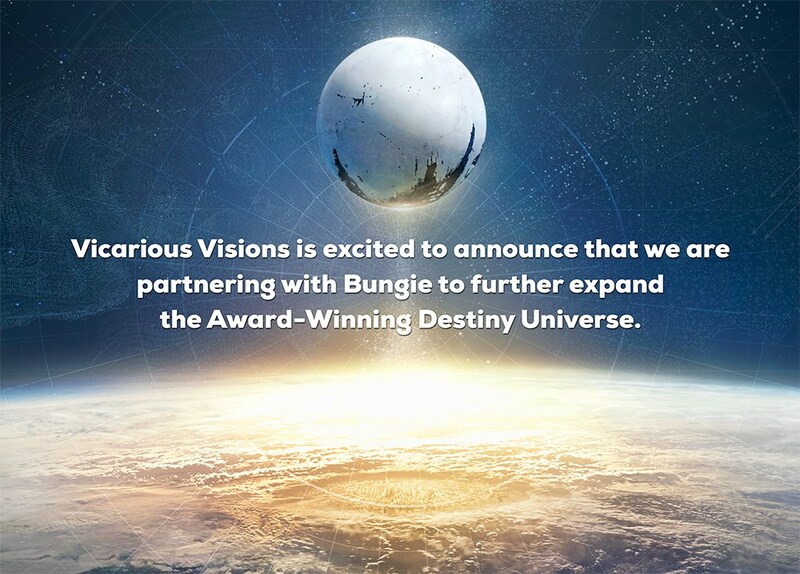 Vicarious Visions joins High Moon in developing content for Destiny. Bungie and Activision brought High Moon, whose developers pitched in on 2014's Call of Duty: Advanced Warfare, into the Destiny fold last year. Exactly what content Vicarious Visions and High Moon will be working on remains a mystery, but it likely has to do with Destiny 2, expected to launch in 2017—possibly on PC in addition to Xbox One and PS4. The rumor started this fall when a source purported to be close to Bungie claimed to know someone who works at Activision, and that this person "was on a plane and then a train and saw a presentation on another person's laptop. (No, serious mode: This is what is being internally communicated to employees." Releasing Destiny 2 on PC would go a long way in fulfilling Activision's goals of broadening Destiny's appeal. "We're on track and really excited for what we think is going to be an awesome sequel for Destiny in 2017," said Activision CEO Eric Hirshberg in November. "That sequel is designed to both excite our highly engaged current players but also to broaden the appeal even further, bringing in new fans and bringing back lapsed fans." Uhhhhhhh more like best known for Tony MFing HAWK dude, come on. So true. I'll amend that. Sorry! I've been awake a long, looong time. Added! They developed GBA versions of Tony Hawk games, which were great, but I don't agree with you that they're "best known" for them. Those GBA games were best known in my heart! It's definitely what I know them for most. ... and Harmonix created Guitar Hero, and Toys For Bob created Skylanders. Really adds fuel to the fire that Activision might not have a new Skylanders game next year. VV's entries have been the best of the series, with SWAP Force in particular being the best. Great gimmick but not abusive to players (something I didn't fully appreciate until Trap Team came out the next year). More than likely this is to help them with the PC version of Destiny 2. It makes the most sense because they are known for helping port titles for other companies games. They are familiar with the process of multiplatform games. This is either going to be good or real bad in terms of how the PC port goes.